Arizona State University, in coordination with Leuphana University in Germany, has launched an educational pilot project that will lay the groundwork for an intensive institutional collaboration in undergraduate education. "Any good idea or revolution has started in a bar or coffee house, not a lecture hall,” said Manfred Laubichler, co-author of the Mercator grant and a President’s Professor in ASU’s School of Life Sciences. “This project is basically a way to recreate this in a virtual environment." Vidyo technology was adopted by ASU for use in classrooms in 2010. These virtual conferencing connections have catalyzed research and science education exchange between ASU, the Smithsonian Institution and local K-12 classrooms, and set the online stage for the project with Leuphana. A workshop in Germany at the Wissenschaftskolleg zu Berlin drew ASU professors Laubichler, Robert Page, Jane Maienschein, James Collins, Richard Creath and Daniel Sarewitz to meet with their German counterparts. These included Yehuda Elkana, president and rector emeritus of the Central European University; Sascha Spoun, the president of Leuphana University; and representatives from Stiftung Mercator, who invest in educational projects. Together this collective considered how to transform our traditional approach to education into a new model using virtual technology and an international and interdisciplinary pedagogy suited for the 21st century. “One of the things that we discussed was how knowledge is socially, geographically and temporally contextual. That is, that all knowledge has context,” said Robert Page, ASU vice provost and dean of the College of Liberal Arts and Sciences. Starting in January of 2013, undergraduate students from Leuphana University – considered the “ASU of the EU” – ASU’s Barrett Honors College, the School of Life Sciences, and the School of Sustainability will define and work together on group projects that extend over three semesters. To support the collective effort, students also will pursue individual research activities at their home institutions. The result will be individual edited short papers by each student and a set of collective exhibits to be published through a digital educational repository that the group is developing. 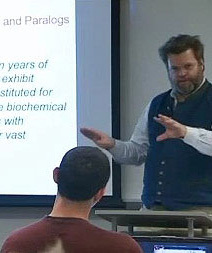 Ben Minteer, an associate professor in environmental ethics and policy; Arnim Wiek, an assistant professor in sustainability; and Charles Kazilek, an assistant dean in the College of Liberal Arts and Sciences, who develops award-winning internet science education materials, also will contribute to the Mercator program. In addition, as the next cohort of students enters during the program’s second year, the first year’s cohort will serve as peer mentors to the incoming group. This reinforcing investment from one cohort to the next allows the instructors to teach more, and the students to have a more interactive learner-oriented experience. Graduate students in Germany and with ASU’s Center for Biology and Society and ASU’s Global Institute of Sustainability will serve as co-instructors for the Mercator project. At ASU, these students will include Sean Cohmer, Guido Caniglia, Katherine MacCord and Julia Damerow, who studies digital history and philosophy of sciences and also works with the Max Planck Institute. The curriculum for the Mercator program evolved from the active research and writing-intensive activities developed and tested by Maienschein and Laubichler at ASU and implements the principles of the Curriculum Reform Manifesto developed by an international group of scholars, including Laubichler, Page and Elkana. Investment in new approaches to teaching and learning also spurred Laubichler to co-author the Mercator grant with Nils Ole Oermann, vice president of Leuphana University. A number of reform-minded institutions are watching the ASU team’s progress with interest, said Laubichler, who also directs ASU’s Center for Social Dynamics and Complexity and is the associate director of the ASU Origins Project. He has identified and met with other potential partners in Germany, Holland and Israel. If this approach works, he said, ASU also might extend the model to build new types of educational connections between the United States and China. America's biggest birthday party airing July 4th on Eight, Arizona PBS gives a patriotic send-off to U.S. Olympians and Paralympians, including Olympic weightlifting champ Sarah Robles who trains with Team Arizona in Mesa. Olympic weightlifting athlete Sarah Robles, who trains in Mesa with Team Arizona, is among 13 Olympians spotlighted in the annual PBS celebration, A Capitol Fourth, airing at 7 and 8:30 p.m., July 4, on Eight, Arizona PBS. The Olympic salute also features five-time Academy Award-winning composer John Williams conducting his “Olympic Fanfare and Theme.” Acclaimed British tenor Russell Watson performs “Because We Believe” (written and performed by Andrea Bocelli for the 2006 Olympics closing ceremony in Turin, Italy) to welcome the athletes to his native England. 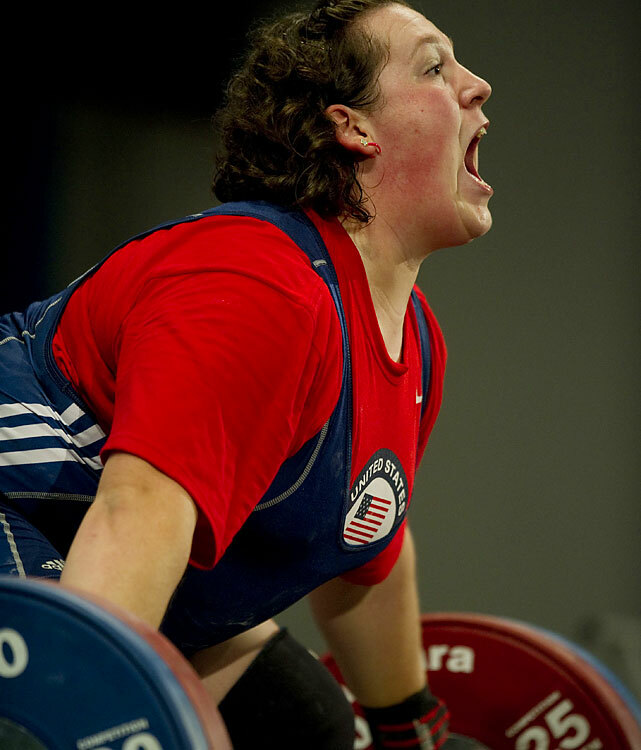 Robles is the top-ranked U.S. women’s weightlifter in all weight classes and was the top U.S. finisher, male or female, at the 2011 World Championships. With the U.S. Capitol as a backdrop, she joins a dozen competing U.S. Olympians as they are honored and cheered by a crowd of hundreds of thousands. Other athletes include Khatuna Lorig (Archery), Jennifer Gillom (Basketball), Daryl Homer (Fencing), Rachel Dawson (Women’s Field Hockey), Bobby Lea (Cycling), Marti Malloy (Judo), Arielle Martin (BMX Cycling), Amanda Clark (Sailing), David Wagner and Nick Taylor (Wheelchair Tennis doubles partners), Corey Cogdell (Shooting) and Suzanne Stettinius (Modern Pentathlon). "A Capitol Fourth" also features appearances by American Idol winner Phillip Phillips and two-time Tony Award-winner Matthew Broderick, performing songs from the hit Broadway musical “Nice Work if You Can Get It” with four-time Tony nominee Kelli O’Hara. Other entertainers include acclaimed Broadway and television star Megan Hilty of "Smash;" singer-songwriter Javier Colon, who won "The Voice;" country music star Josh Turner; R&B superstars Kool & The Gang; and the National Symphony Orchestra. Probably the greatest display of fireworks anywhere in the nation tops off the celebration. Watch a preview at azpbs.org/capitolfourth.